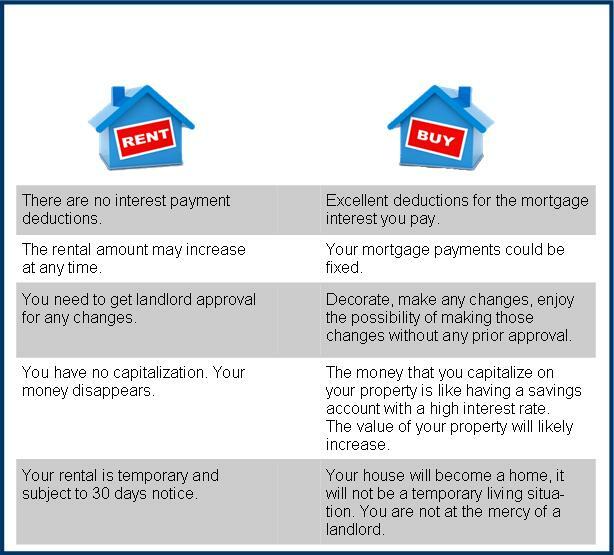 LA Neighborhoods that are wildly unaffordable for Renting …..
Maybe it’s time to consider buying..? LA may have cheaper rental options than several other US cities, but many Angelenos are probably still going to be stuck living with roommates for a while. 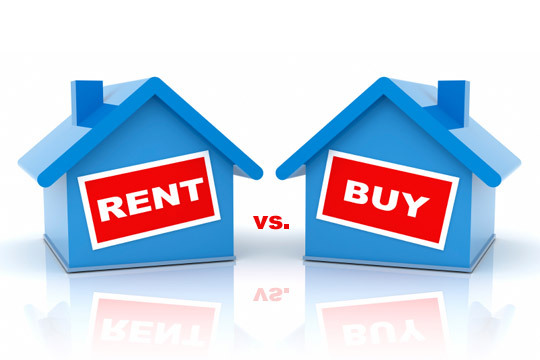 A new analysis of US rental markets shows LA rental prices increasing and at the top of the unaffordable list in both the 1 and 2 bedroom rental markets. 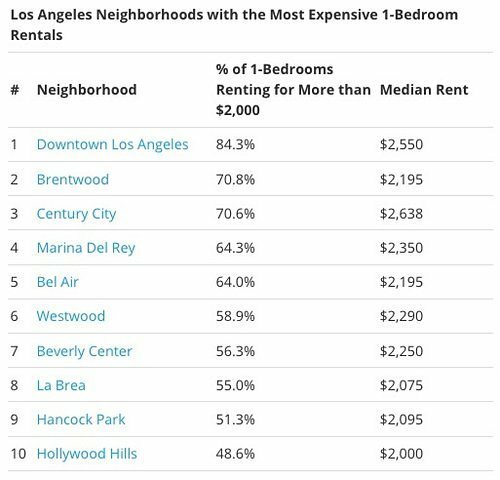 LA ranks among the most expensive in the nation (6th and 5th place) and in some neighborhoods, a huge chunk of the rentals are completely out of reach for a good chuck of the population. 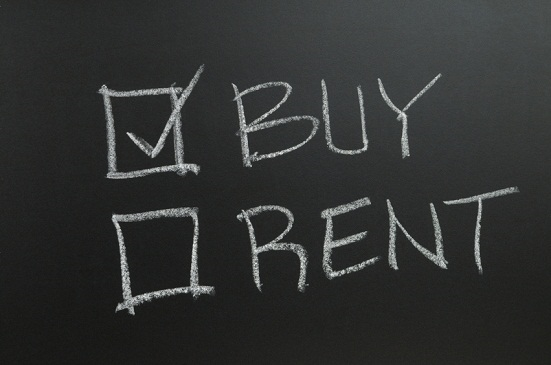 For 1-bedroom rentals you’ll find the median price is $1,750. The list includes: Downtown LA, Brentwood, Century City, Marina Del Rey, Bel Air, Westwood, Beverly Center, La Brea, Hancock Park, Hollywood Hills. These all rent for over $2000/month mostly on the westside of town. 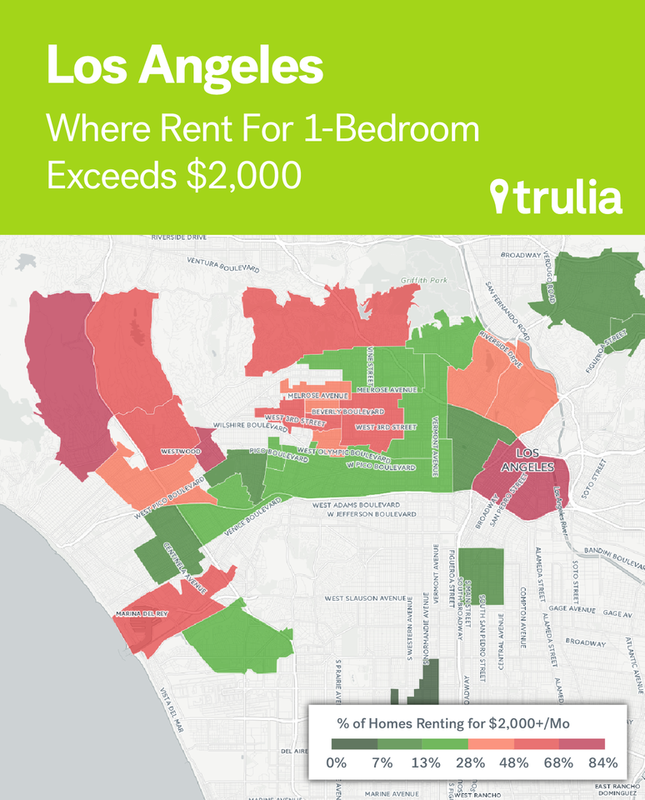 Two-bedrooms in Los Angeles has a median rent of $2,695/month. 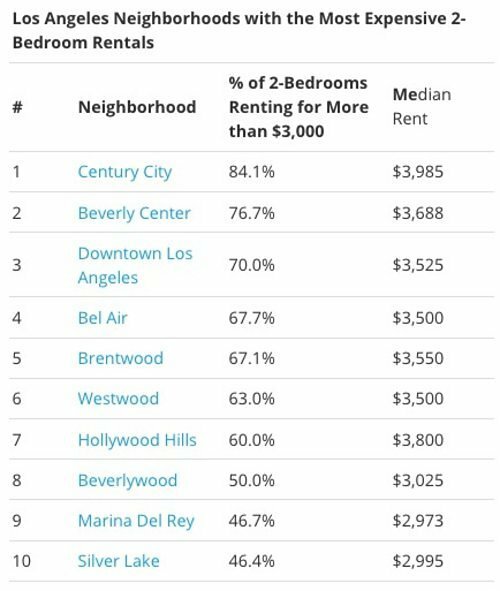 The neighborhoods with the most expensive 2-bedroom rentals are: Century City, Beverly Center, DTLA, Bel Air, Brentwood, Westwood, Hollywood Hills, Beverlywood, Marina Del Rey and Silver Lake. 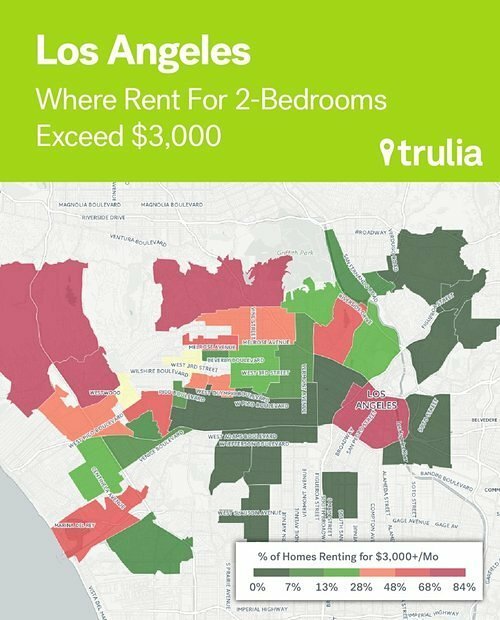 Rents are too high in LA, sure there are pockets of affordable renting, but we are closer and closer to it being definitely a better option to BUY rather than RENT in Los Angeles.